Election • House Republicans say they may sue if Herbert sets rules for special election without legislative OK.
Francisco Kjolseth | Tribune file photo Utah House speaker Greg Hughes, R-Draper, says Rep. Jason Chaffetz resignation is expecte Chris Detrick | The Salt Lake Tribune U.S. Rep. Jason Chaffetz, R-Utah, listens to a question during the town-hall meeting in Br Scott Sommerdorf | Tribune file photo Utah Gov. 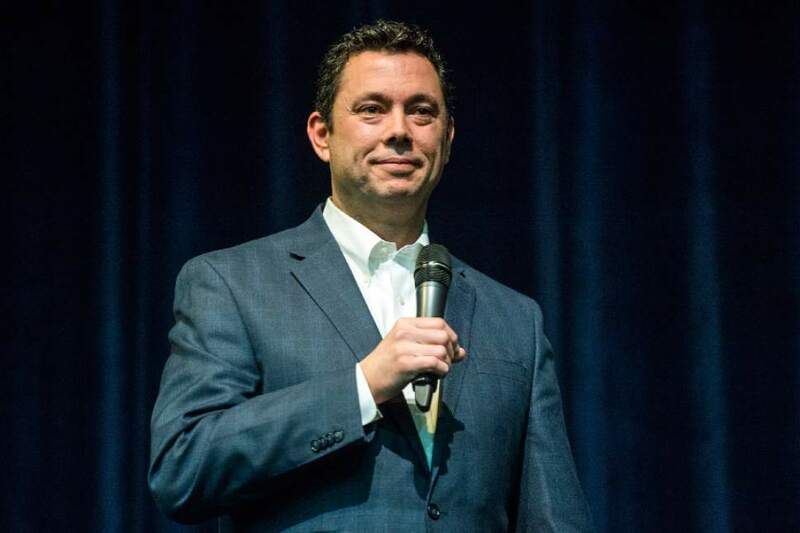 Gary Herbert has steadfastly refused to call lawmakers into special session to Lynn DeBruin | AP file photo U.S. Rep. Jason Chaffetz, R-Utah. 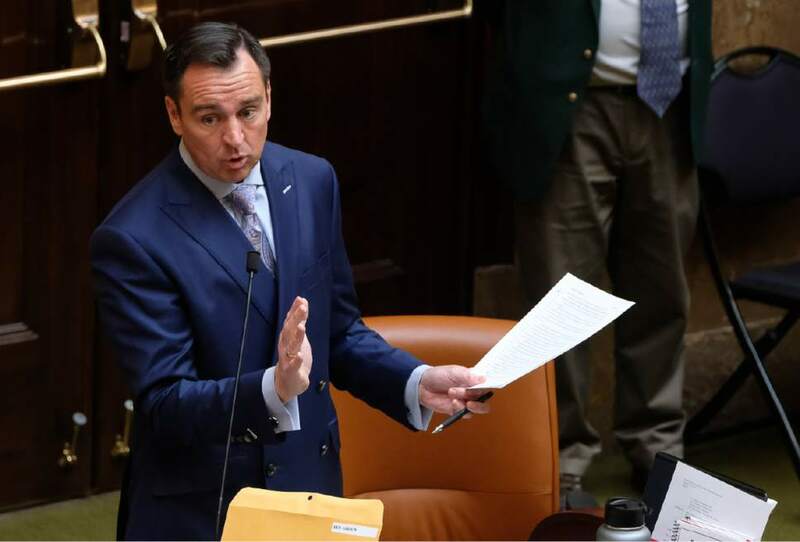 Francisco Kjolseth | Tribune file photo Utah House speaker Greg Hughes, R-Draper, says Rep. Jason Chaffetz resignation is expected by end of June. He suggests the Legislature may sue the governor over how to conduct a special election to replace the congressman. Chris Detrick | The Salt Lake Tribune U.S. Rep. Jason Chaffetz, R-Utah, listens to a question during the town-hall meeting in Brighton High School Thursday February 9, 2017. Scott Sommerdorf | Tribune file photo Utah Gov. Gary Herbert has steadfastly refused to call lawmakers into special session to set rules for an election to replace Rep. Jason Chaffetz. Lynn DeBruin | AP file photo U.S. Rep. Jason Chaffetz, R-Utah. 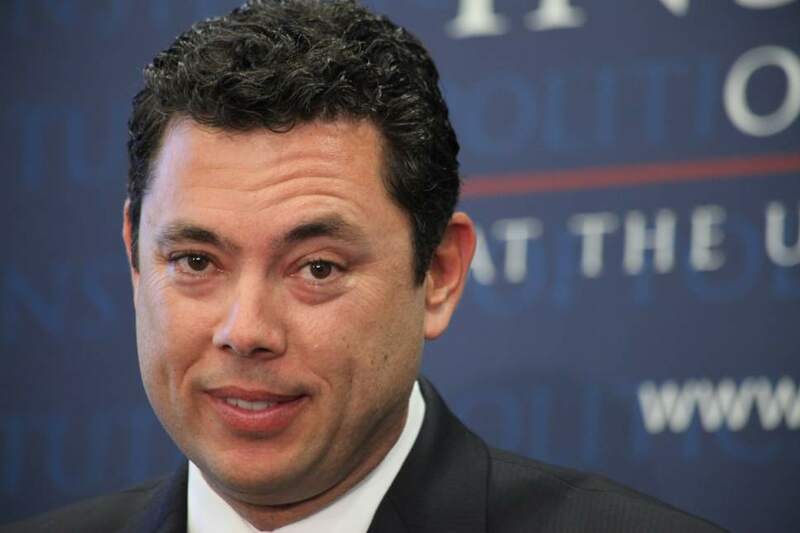 The impending departure of U.S. Rep. Jason Chaffetz is creating turmoil among state leaders. The Utah House GOP Caucus signaled Wednesday that it might sue fellow Republican Gov. Gary Herbert if he will not call legislators into special session to enact rules on how to replace Chaffetz, who House Speaker Greg Hughes said is expected to resign within a few days, effective by the end of June. Existing election law would require 328 days for a special election, Hughes said, adding that Herbert is talking about an expedited procedure that would take 180 days. Hughes, R-Draper, told the caucus that changes contemplated by the governor likely would violate existing law, so Herbert should call a special session to allow the Legislature to pass expedited rules. "If we allow for the freelancing, the re-creation of times, places and manner of how an election will actually occur," Hughes said, "we are losing that legislative prerogative." At the center of the dispute is Herbert&apos;s insistence that he wants to preserve the ability of 3rd Congressional District voters at large to participate and for candidates to qualify for a primary election by collecting signatures. Legislative leaders instead have talked about allowing 1,000 or so party delegates to choose party nominees or even the replacement candidate. A new Dan Jones & Associates poll commissioned by UtahPolicy.com found that 76 percent of Utah voters prefer that all voters select nominees, and 19 percent favored leaving that decision to party delegates. Herbert could prevail in the argument simply by refusing to call a special session. But the House caucus warned such action would come with a cost. Hughes said leaders are weighing a lawsuit, arguing that any abbreviation of current procedure would violate law  unless the Legislature approves changes. He warned "that could cut off our nose to spite our face" by causing further delays at a time he wants to see any vacancy filled quickly. However, he said, legislators could file for an expedited hearing with the Utah Supreme Court, so it may not cause too much of a delay and help protect separation of powers. GOP lawmakers aren&apos;t alone in opposing the governor on this issue. House Democratic leader Brian King, D-Salt Lake City, released a statement urging the governor to call a special session. Hughes said the chairmen of both major state parties and Senate leaders also support a special session. "Defining how elections are run is a legislative power. We may have a lot in common with how the governor would like a special election to run, but it is not his prerogative," King said. "The Legislature is responsible for those decisions." Hughes had considered running to replace Chaffetz, but he told his fellow Republicans that he decided against it largely so he could push for a special session without being accused of somehow trying to help his own campaign. That move came after Herbert earlier said that because several legislators are considering running to replace Chaffetz, he doesn&apos;t "want anyone gaming the system" in ways to help certain candidacies by changing laws on the books. Hughes said Wednesday, "There&apos;s two sides of that coin. You could say we have an executive branch that is so angry at the delegates for not voting for him that he doesn&apos;t want them to decide who the candidate is." Herbert finished second last year at the GOP convention, where delegates tend to be more conservative than voters in general. But he won the primary easily and was re-elected in a landslide. Paul Edwards, spokesman for Herbert, offered a short written statement in response to the House GOP actions Wednesday. 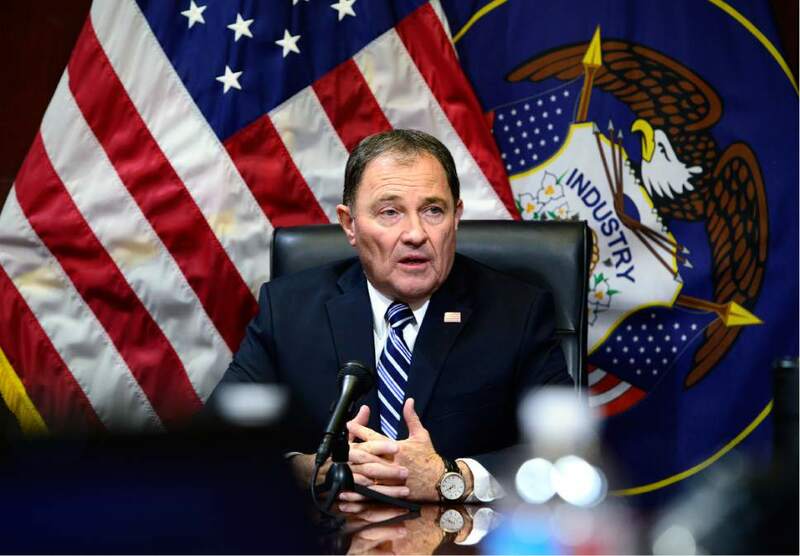 He said if a vacancy arises, Herbert "would issue a writ calling for a special congressional election that would mirror Utah&apos;s current general election process." Meanwhile, Hughes also argued against assertions, such as by Herbert, that candidates should have the ability to qualify for the ballot by collecting signatures. Current law gives state delegates the power to nominate people to fill other sorts of vacancies. For instance, the law allows a party central committee to nominate three people to fill a U.S. Senate vacancy  and the governor appoints one of them. For state legislators, party delegates meet to elect a replacement  who is then appointed formally by the governor. Hughes said it makes sense to allow the parties to choose nominees for U.S. House vacancies, too. Also, Hughes noted, as previously reported, that lawmakers are considering pushing a constitutional amendment to allow lawmakers to give themselves power to call themselves into special session. It would need to be passed by a two-thirds majority in both houses, and then approved by voters.